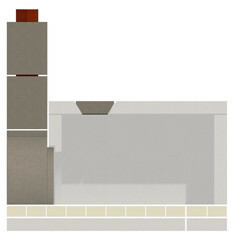 * Please Note: This item requires the use of the Amerigo base plate extension kit. 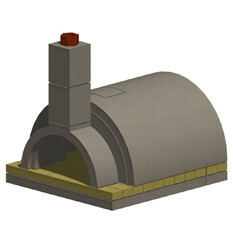 Having the perfect spot for your Amerigo masonry oven has never been easier thanks to the Stone Age Manufacturing Amerigo Masonry Oven Access Tunnel with Dome Chimney Plug. 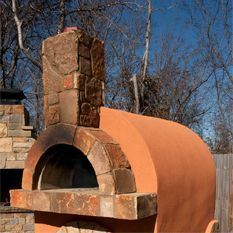 This allows you to create an entry landing for your Amerigo masonry oven, lowering and bringing forward the chimney for greater heating control. However, it does require the use of the Amerigo base plate extension kit. 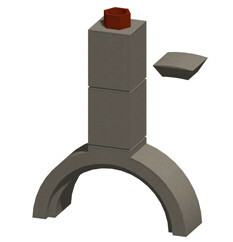 Have the entry landing your Amerigo needs with this access tunnel from Stone Age Manufacturing.